HomeMarketing HOW TO STREAMLINE FACEBOOK ADVERTISEMENT OFFERING: CLICKS OR IMPRESSIONS? Facebook with 2.2 billion monthly active users is one of the leading platforms for advertising. For many business owners and marketers, it is the most trusted networks for making more customers. Though it also plays the active role in knowing about who your competitors are and what strategies they are using. 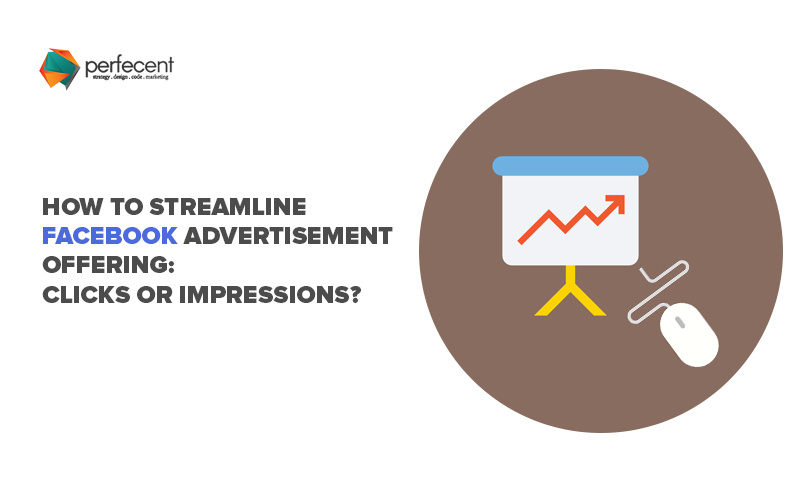 When it comes to streamline Facebook advertisement offering you have two options: link clicks and impressions. Choosing the best option for optimizing Facebook Ad bidding is a daunting task for many. The best way to know which option works better is to run a campaign based on the conversion objective. Once you have done with the campaign elements, open the budget and schedule section. Along with this, don’t get things confused with each other. How you are charged, and the delivery action are two entirely different things. You can only get charged by impression, if you choose to optimize ad delivery for conversions, landing page views, unique daily reach, and impressions. Open your charge type options in the budget and schedule section of the campaign to discover the possibilities for when you get charged. When you get charged, you will have two options: Impressions and Link Click. Choose the option that will give you more benefits. Think about the pros and cons of each. By choosing link clicks you only get paid when someone clicks your ad, so in the notion, if your ad doesn’t get many clicks. On the other hand, charge by impressions is just like an inadvertently waste money especially when your ads are not working. But, if your ads are working well and get a high click-through rate, you will have to pay only on a CPM basis. I would suggest, if you are new to Facebook ads or have small budgets, link clicks can be the best choice for you. But, once you are more confident in taking a hands-on approach to optimization, you can graduate to being charged by impressions. Facebook advertising has a lot to offer your business, but if you don’t handle it wisely, you won’t be able to gain the full advantage of the website. Keep these things in your mind when starting your Facebook ad campaigns and you’ll be off to a more active start.